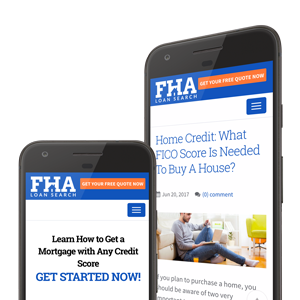 The Federal Housing Administration (FHA) provides home loan facility to those who are not otherwise qualified to get a home loan. In FHA mortgage situations, the government takes the responsibility of paying back the mortgage amount to a private lender if the borrower fails to repay. It is basically mortgage insurance and helps mitigate risk to the lender. So for people who look to benefit from this, start by first checking your credit report for accuracy and then ask: What documents do you need for FHA loan qualification? As FHA assumes the responsibility in the event of default, the procedure requires some extra documentation. The documents are required to back the information you provide in order to get mortgage loans and when the time is right your lender uses this information to perform a mortgage credit analysis. To streamline things, you should have everything prepared in advance of meeting with your mortgage broker to help allow for a smooth and convenient mortgage approval process. To help you, here is a list of documents you might need to submit to get approval of your mortgage. Your lender will ask for the personal information including a copy of your driver’s license, social security card (or passport), and addresses where you lived during the past two years. If you are not a US citizen, you may have to submit a copy of your US work permit or sometimes a green card noting that this is a federal government backed loan. You also need to submit any divorce, alimony, or palimony papers and/or details of another home owned by you, if it is applicable. As you should expect, your lender needs verification of your employment status. He needs to know your income in order to determine if you could pay the mortgage. You have to submit your tax return details of last two years and if you are self-employed you will be required to provide your last three years’ tax returns along with a profit and loss statement for your business. This is all just a basic step to help the lender verify that you will be able to fulfill your financial obligations once you are in repayment. The lending decision is significantly based on your debt-to-income ratio. Your lender needs to see your bills and account numbers to do so. With that, you are required to submit name, address, and phone number of your landlord and your last 12 months’ rent checks to prove that you have made your payments by the book. If you have applied for bankruptcy, you need to give a copy of bankruptcy and discharge papers as well. Also, if you co-signed the mortgage you need to give 12 months cancelled checks as a proof of non-payment by you. You need to show your savings by providing your bank statements for last three months, along with details of stocks, mutual funds, and money market statements. The more you have saved up, the safer a borrower you’ll be and potentially you will have both a better credit score and interest rate as a result. If you are refinancing a house that you already own, you have to provide the copies of deed from your current loan, insurance policy paperwork, property tax bills, payment coupon for current mortgage, and a rental agreement in case of a multi-unit property. Not all documents are provided directly by you. Some of the paperwork might be given by your lender after getting written permission from you. The credit reports by credit reporting agencies is generated after a written consent issued by you allowing credit agencies to provide the lender with your credit information. The approval of your mortgage is highly dependent upon documentation. To avoid any headache and really to make everyone’s life easier, it is best to show up prepared and with as much of the required documents as you have access to so that you may get your mortgage approved in a timely manner. Auggie Capistrano is an award-winning reporter and editor with more than 15 years of experience in journalism and personal finance. Auggie's background includes covering mortgage news and providing home buying tips for the Texas, California, New York, and Florida markets. He has a B.B.A. in Real Estate Finance and a Master's Degree in Journalism.